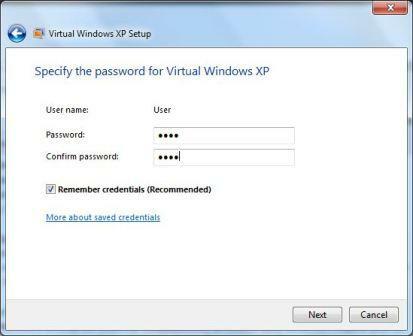 Windows XP Mode (XPM), which previously known as Virtual Windows XP (VXP) is an optional feature for Windows 7 Professional, Enterprise and Ultimate editions. Windows XP Mode provides a virtual Windows XP environment capable of running many Windows XP-compatible business and productivity applications. With Windows XP Mode, Windows 7 users can run older or incompatible programs in Windows XP Mode, and launch them from Windows 7 desktop in just one click. Windows XP Mode uses virtualization technology such as Windows Virtual PC runtime engine to provide a virtual Windows XP environment for Windows 7. 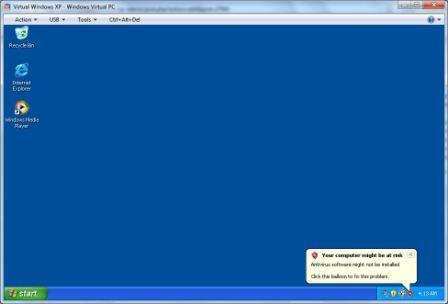 In actual, Virtual Windows XP Mode is the combination of two features. Firstly, Windows Virtual PC-based virtualization technology, and secondly, pre-packaged virtual Windows XP with Service Pack 3 (SP3), fully licensed and pre-activated. Once installed, XPM essentially behaves like a typical virtual machine, but with one exceptional feature. Applications installed into Windows XP mode are automatically published to the host OS (Windows 7), with shortcuts added to Windows 7 Start Menu and can be launched just like any Windows 7 program. Optionally, these Windows XP applications can be pinned to the Windows 7 Task Bar and launched using just a single click from the Windows 7 desktop. Thus, any Windows XP-based software can co-exists with Windows 7 applications within just one single desktop. 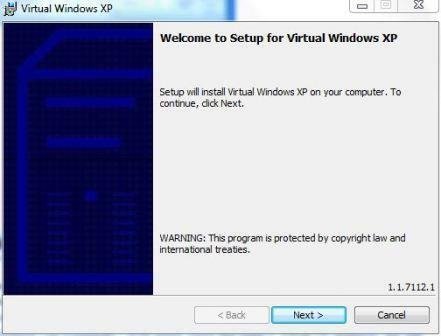 Windows 7 users who keen to try out the Virtual Windows XP Mode can download the setup installer now, ahead of official release. With the availability of XPM installation files to MSDN and TechNet subscribers, the installers have also leaked to Internet. Update: Official download links for more languages of Windows Virtual PC and Windows XP Mode now released. The last two Windows Virtual PC for 7 (KB958559) downloads have been made availabe earlier. In order to activate Windows XP Mode, install KB958559 update package, and then install the Windows XP VHD setup installer.